Rodric is a writer of both fiction and nonfiction. His passion is creating new stories and seeing where they take him. The amazing Ann Carr issued a challenge in her article entitled, Choosing Vocabulary: General Advice; Specific & Diverse Adjectives; 'No!' to 'Nice'! My Challenge to You that all interested readers would take one of the photos at the beginning of that article and write a descriptive piece by poem or story. The following is my contribution to the challenge. This cloister would be a constant reminder of what I have lost. The scene is almost perfect. The columns and the curves of the archways can be the actual thing! 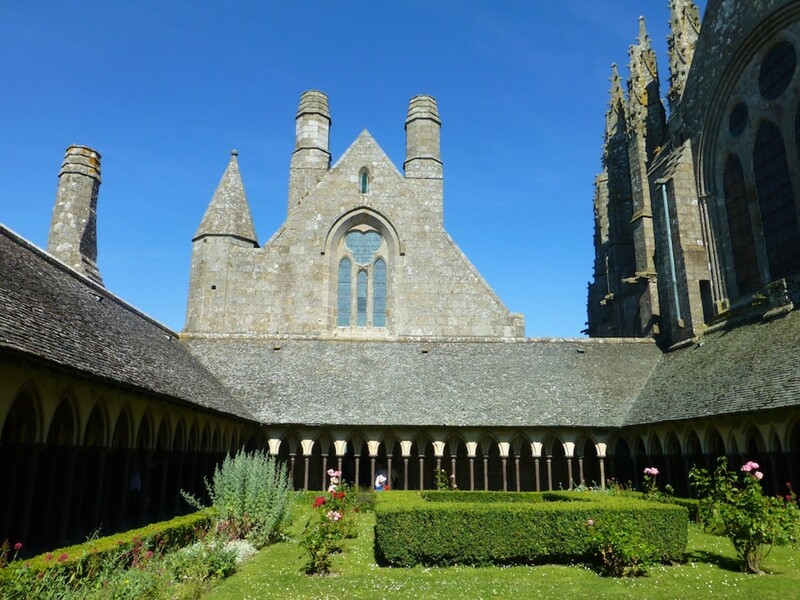 I can not believe that we are standing in a recreation of the Mont Saint Michel Cloister. The columns capture perfectly slender wisps of the original with the ornate carving in the designs above in the curvature of the peaked arches. Each space between the columns serve as a window to the meticulously kept foliage in the courtyard--a window to the soul of the mansion. How very gothic of the builder. How very Catholic! Not that we have anything against the Church. Since I left the priesthood, I thought that things like this would not bother me. I betrayed my vows. I guaranteed a place in the far reaches of hell for myself. I am still Catholic! What else is there? 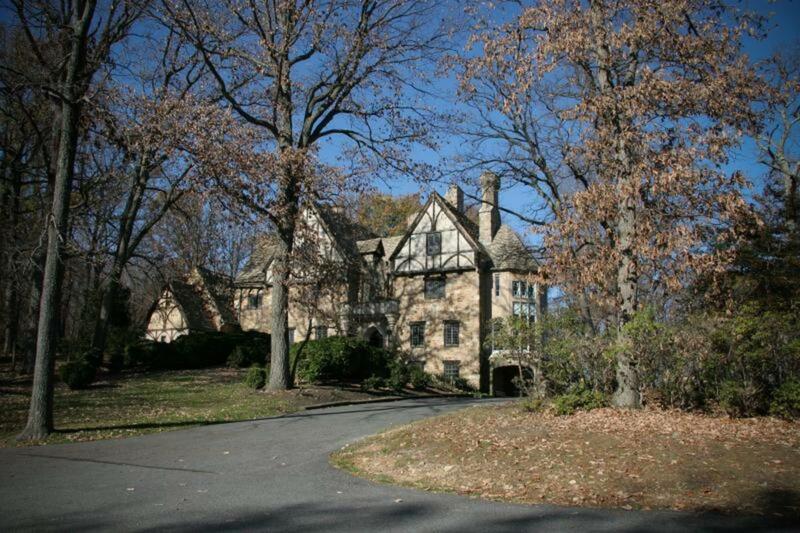 Open tours to this mansion are about to end. The only reason we are here is to buy the place and make it home. 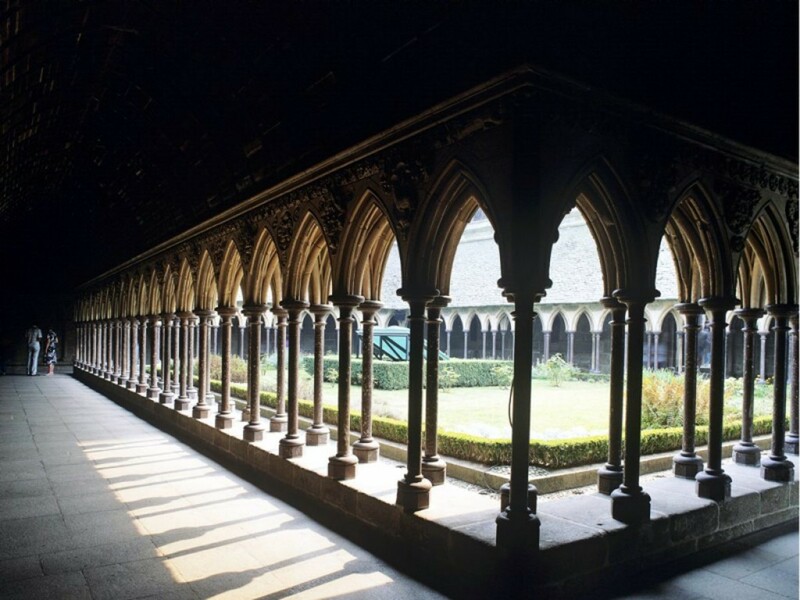 This cloister would be a constant reminder of what I have lost. I deserve it. I pray to both Saint Jude and Saint Anthony because I can not decide from whom my help would come best. Hopefully, my soul will be redeemed in the purchase of this mansion with this holy replica of a holy place. Maybe I am kidding myself. This is not the real Mont Saint Michel. The blessings of the Arch Angel Micheal does not reside upon this place as it does the original. Maybe we are fooling ourselves into thinking that using this new place as a home for us and the less fortunate. It has over 400 bedrooms aside from the 200 other rooms that all seem to guide you to the cloister. Why did I leave the priesthood? I do not rightfully know. I suppose it was greed that brokered my exit from the brotherhood. Sadly enough, I took a former sister with me, a nun. We did not marry and start a family. We just want to start a mission that will help the homeless and outcast, like us. I won the lottery is what happened. 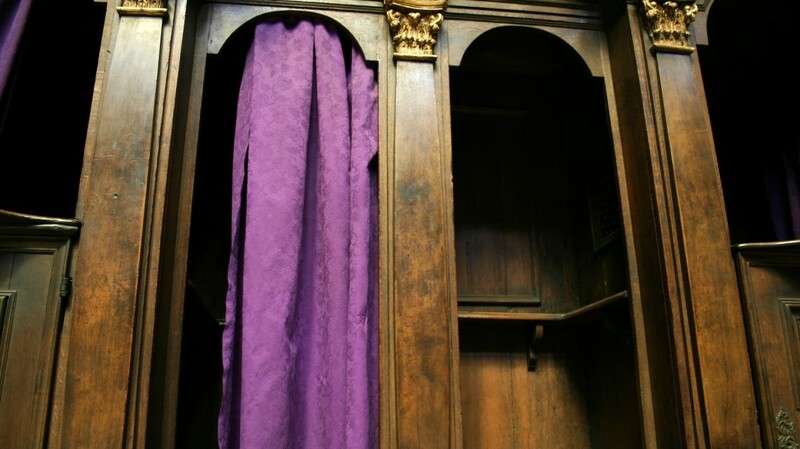 A Parishioner came to the confessional with a lottery number saying that she felt that God wanted her to give this ticket to me because she was going to die soon. She slipped it through the openings in the partition before I could object and ran out of the booth. I don't know if she actually died, but I kept the ticket. This one, ours, is newly completed--five years in construction. It comes with its own village on the property. The mansion is the centerpiece of course. Luckily after 10 years of aggressive successful investment, our little fortune has made us into billionaires. So, yeah. We are buying a mansion. We are going to be married here and start a family--former priest and nun! Our kids will be adopted from all over--old and young. We will be very Catholic--as much as we can since we cannot take communion. The Church is still true, even though we were not. Who am I kidding? Looking at the serene garden makes me want to go pray there. I have dreamed enough for today. I will never leave the Church. Daydreams about what could have happened had I played that winning ticket aside, I do not regret giving it up for my priesthood vows. Chris, thanks for reading. I am sorry that you left the ministry. At least, I think I am. I don't want to offend you. I know that serving God is the most important thing in the lives of Billions. Did you write about it somewhere? I would love to read your story. Also, this story, though it is fiction, is a reality for many people. The priest in this story was daydreaming about possibilitiees. This story grabbed me and pulled me in, Rodric. I left the protestant ministry and know how hard it can be. I believe it is much harder for those in the Roman Catholic ministry. Sometimes, it must be done. And see how it still can have a hold on a person. Well told. Very well told, Rodric. It pulled me in from thew beginning. Ann, you are always writing inspiring things, even in comments that brighten my day. I need to comment on the things I read of yours more. Rinita, thanks for your kind regard. It has been pretty hard emotionally. Thanks for reading this hub and commenting. Rodric, please accept my sincere condolences. To come up with something this beautiful at a time when you are grieving is really commendable. My condolences to you, Rodric. I'm glad my comment lightened your mood a little. Oh, Ann! Thanks so much for your comment. I have to admit that I am sensitive right now. I wasn't going to bring it up, but I change my mind. My mother died on July 11, 2018. I was having a hard day today and your comment made me smile. Thank you. Thank you for responding to my challenge, Rodric. This is a wonderful story, well told, showing us such different possibilities to follow, showing us the results of faith or not as the case may be. Your descriptions bring the scenes alive; well done indeed! I have added your link to my challenge hub. This is Wow! Well thought out descriptions, imbibing into a story that really gets down to business. Thanks, John. I wanted to develop it further but thought it would interfere with the challenge too much. I have to teach myself that each post doesn't have to be an epic tale. What a wonderful response to Ann's challenge. I enjoyed this story very much. Good work Rodric.